Our vision is to be one of the leading art spaces in the world for Central & Eastern European (CEE) contemporary art. We will showcase established and emerging talents from the region, with the aim of raising awareness and interest across Europe as well as in Asia. Q Contemporary was founded in 2018 as a personal art collection of post-communist CEE art, especially boundary-crossing art forms that defy conventional categorisation. Today, the collection consists of works from CEE artists with a focus on those active from the second half of the 20th century onwards. They are artists whose works we not only love but are dedicated to promote through our ambitions to be a global art space and art consultancy for CEE contemporary art. The collection continues to grow and forms the cornerstone of Q Contemporary’s identity and activities – from exhibitions and joint shows with other museums and galleries, to collaboration with artists and our engagement with education and research. 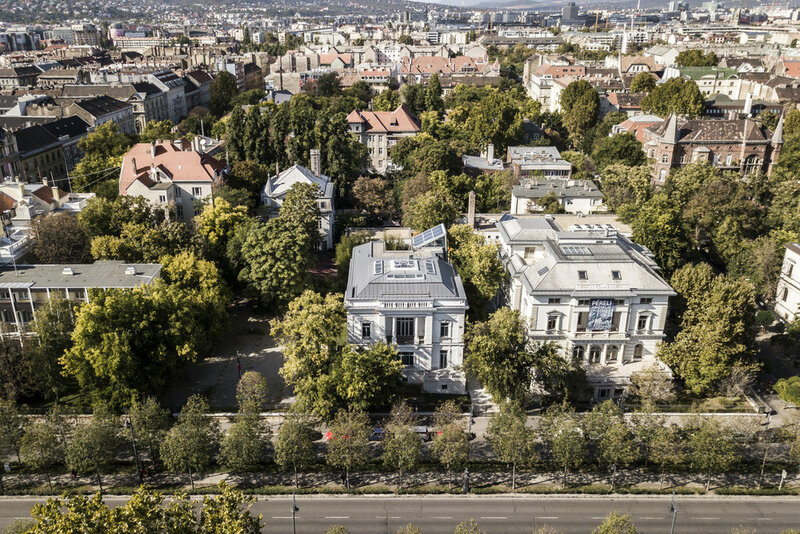 International in reach and outlook, Q Contemporary will anchor its main activities in Budapest, in a beautiful four-storey 19th-century villa in the heart of the city. Together with our future sites in London and Hong Kong, we offer a dynamic global space for selected CEE artists to display and sell their work, grow their audience and springboard their careers. The diversity and richness of CEE art is at once fascinating and bewildering. Spanning a region from the Balkans to the former territories that were under Soviet Union control, CEE contemporary art is marked by strong historical and social differences that have given rise to it being labelled as “other art”; many of its leading artists are in the shadows of the global art market. We see huge opportunities for more people to discover this exciting and often overlooked art scene. Our collection – comprising key works by established, mid-career and emerging artists such as Dora Maurer, Stano Filko, Dorde Ivackovic, – will be displayed at Q Contemporary galleries as well as in museum and fairs around the world through our participation in collaborative projects. The collection will continue to grow in parallel with the expansion of our gallery space in major cities and art consultancy services, and will be the focus around which Q Contemporary evolves in the years to come.